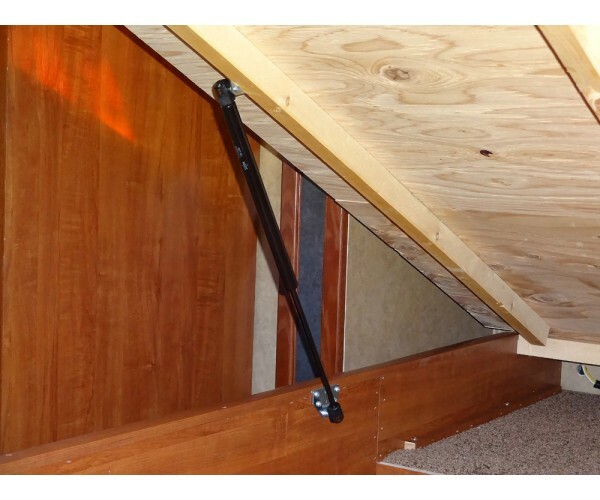 Bedlift kits transforms previously unused space under your bed. 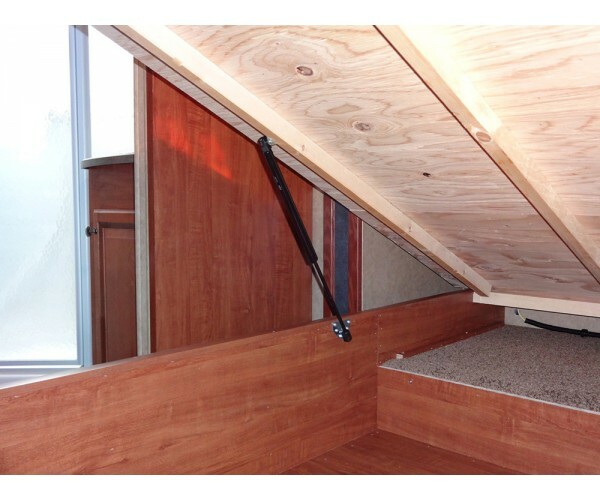 Maximize storage by installing this kit, and take advantage of the forgotten space under your bed. 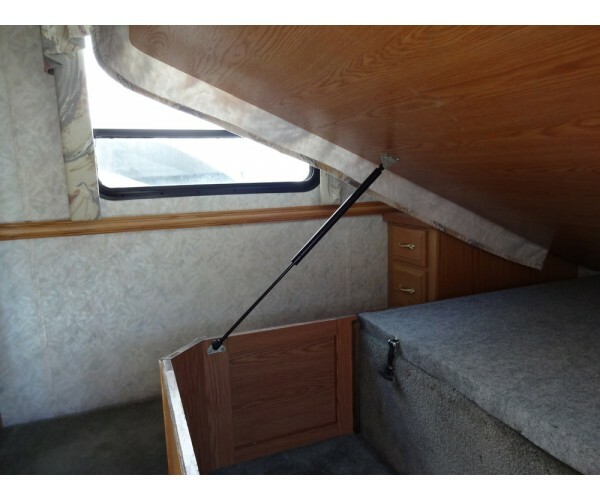 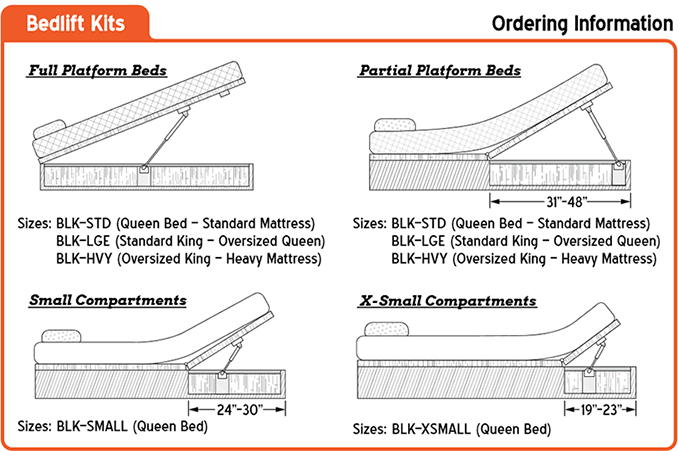 Bedlift Kits cannot be installed on beds in slide outs with fixed base non-moveable platform bottoms.